When you dream of your family it speaks of your spiritual family. It speaks of people in your congregation or other Christians that you share your spiritual life with. It sometimes even symbolizes your spiritual family that you even did not meet yet. In some cases dreaming of your natural family needs to be taken literal. In such cases the dream or vision literally is about them. A fan blowing feathers all around the room speaks of financial provision or breakthrough. Also see “Feather”. It speaks of the lifting of a heavy burden off a person’s shoulders. 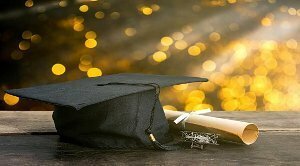 The blowing of the feathers, which are virtually weightless, speaks of the relieve in such a person’s mind because of the financial breakthrough in his life. A father in dreams symbolizes our relationship with our heavenly Father (God the Father). Dreaming of our father dying it speaks of someone trying to stop someone to believe in God. They do not want a person to enjoy a personal relationship with God the Father. They are preventing the relationship. The meaning is similar to us dreaming of a friend dying which symbolizes the end of the relationship between you and that friend. Feathers speak of spiritual covering or protection. It brings relieve in the minds of people when they know that God covers them under his wings of protection. A person with mud on his feet symbolizes a Christian who is mixing with the world or who has relationships with the wrong people. A fence symbolizes division. Whenever you see fences in dreams and visions it speaks of groups of people (different denominations inside the institutional church) or different individuals living or functioning in a state of division. Because of the lack of unity these people cannot work together. It speaks of people with wrong attitudes when it comes to their interaction with children of God who are not part of their group or who does not believe or serve Christ as they do. The hands of a person symbolizes the organizational aspects of the body of Christ. It is all about organizing, functioning and the handling of spiritual issues in the body of Christ. It speaks of the helping hand of God and that also delegated to the church. It is about equipping the saints for the ministry and the building up of the body of Christ. Even the finger of God by which Jesus cast out demons speaks of the work of God. See “Hand”. It is the five-fold ministry whose job it is to equip the saints for ministry to build up the body of Christ. For this reason the five fingers of the hand, which symbolizes the five-fold ministry, are very important in the church. The Thump represents the five-fold ministry of the apostle. The thumb is the only finger that can easily touch all the other fingers. This has a spiritual connotation. It speaks of the apostle which is the only five-fold minister who can function in the ministerial gifts of all the other ministers. The thumb is prominent and so is the apostle. An apostle often implements new things and a apostle can handle serious challenges that the church might have to face. An apostle is a messenger from God and he brings new vision to a church or a congregation. They are anointed to direct a congregation and put the focus on important spiritual truths and principles. An apostle knows how to and does separate himself from people in order to seek God in prayer and fasting. The Forefinger symbolizes the prophet whose function it is to point the church into the right direction. Like the eagle which sores high up in the air (symbol for “panoramic” or prophetical insight, especially the revelation gifts), the prophet has a “panoramic” view and therefore has insight into the revelations and plans of God for the church. The prophet gives direction just like a person does when he points his forefinger into a particular direction. The Middle finger symbolizes the evangelist. The middle finder has the longest reach which speaks of the evangelist who visits far off places and countries with the gospel of Jesus Christ. The Ring finger symbolizes the pastor. The ring finger speaks of commitment and relationships. It speaks of a person who is committed to walk with a person sharing life with all its challenges and burdens. The pastor is committed to look after the well being and personal situations of the whole congregation and each and every person in that congregation. Each little sheep lies close to his heart. Such a person is gifted in exhorting people. They encourage, motivate, help and inspire people to walk the road of faith whilst they walk that road with them. The Little finger speaks of the teacher who, like the pastor, is committed to teach the congregation the true word of God so that each and every member can take up their position of kingship and priesthood in the kingdom of God. For the teacher the well being of each church member is also very important. These two ministries have similar functions and can relate to each other. They stand together and support each other just like the ring finger and little finger are next to each other. Fire symbolizes the purification and the zeal of the Holy Spirit. It also symbolizes the power of God. When people are baptized with the Holy Spirit and with fire like the apostles were on the day of Pentecost, they become powerful witnesses for God. Fish symbolize lost souls being won for Christ. Fishermen on the sea also symbolize souls being won for Christ. A starfish is a worthless creature. For this reason a starfish speaks of a person involved in worthless financial deals or opportunities or worthless spiritual matters. It speaks of a person living in an unrealistic and fanciful world. Such a person lost track of reality in a financial sense. Fishes symbolize unsaved people. A tank or container (various sizes and made of various material) with fishes symbolizes a protected environment where unsaved people are cared for, like a house church or home cell or a church outreach or other facility for the homeless or other needy people, where the potential for these people to convert to Christ is greatly enhanced. See “Numbers in dreams and visions”. A flag has a similar meaning as “banners” in dreams and visions but in a more general sense. Banners symbolizes more specific aspects where flags are more general. In a dream or a vision flags speaks of our general motivation or commitment. We have pledged allegiance to Christ and everything he stands for. We also pledged allegiance to the church. A flag is therefore a statement or a declaration for what we stand for. In dreams and visions it stands for the standard of God. The color and the words or symbols on the flag will reveal more information in order to interpret the meaning of the dream correctly. A flag also speaks of a declaration of victory. It speaks of us celebrating whatever God has done for us. It brings the attention of people to what God is doing for the church. It also speaks of joyfully celebrating and praising God for victory and blessings in our lives. A purple flag speaks of celebration because of the love of God for us and for the church. We celebrate this love and usually the words or symbols on the purple flag indicates what exactly He has done for us which we are celebrating in the specific situation. An orange flag speaks of celebration because of the power and authority of God in our lives. We celebrate this power and authority that He has given us. Usually the words or symbols on the orange flag indicates what exactly He has done for us which we are celebrating in the specific situation. A green flag speaks of the celebration because of the provision of God in our lives. We celebrate this power and authority. Usually the words or symbols on the green flag indicates what exactly He has done for us which we are celebrating in the specific situation. A blue flag speaks of the celebration because of the revelations of God in our lives. We celebrate the ability to receive revelations from God. Usually the words or symbols on the blue flag indicates what exactly He has done for us which we are celebrating in the specific situation. A flood symbolizes an outpouring of spiritual and/or financial blessings. This speaks of a major financial or spiritual breakthrough in our lives. When we dream about rain it symbolizes an outpouring of the Holy Spirit and or financial blessings in our lives. The first floor speaks of unity in an institutional denomination or church. It is the first or immediate structure built on top of the foundation. The second floor speaks of a place of agreement in an institutional denomination or church. The top floor or the higher levels of a skyscraper speaks of people with either prominent positions or a strong influence in the institutional church or a business. Flowers symbolizes praise and worship (Honor and praise bestowed on God). It also speaks of the privilege to enter into the deeper holy spiritual “chambers” of God. Different colors speaks of different types of praise and worship. The color of the flower reveals more details pertaining to the nature or the reason for the praise and worship. Even if life is dry and hard as in the desert a person (symbolized by a desert flower) keeps on praising and worshiping God. A golden flower speaks of the Lord’s rewards of faith and blessings for praising and worshiping Him. A red flower symbolizes a person’s willingness to praise and to worship the Lord despite of conflict, hatred and tears. A yellow flower symbolizes a person’s willingness to praise and to worship the Lord despite of jealousy or hatred or misery. It could symbolize that God wants us to praise and worship Him irrespective of jealousy and misery in our lives. Praising God in such circumstances often changes our circumstances. A flower pinned on a jacket or a dress symbolizes honor and praise bestowed on a person. A fly symbolizes thoughts of disorder and confusion. Just as flies usually gather around rotten things or things decaying, so is a person who is pondering on destructive or negative things. All sorts of flying (A person vertically or horizontal – not in an aircraft but in the body) is when a person victoriously rises above earthly or natural laws or natural ways of life. This is when a person experiences life supernaturally. Things supernaturally achieved in faith falls under this category. Food in dreams and visions symbolizes our spiritual food. Whatever we eat in a dream always speaks of what we place (as symbolized in the dream) in our spiritual mouths to eat. It even goes further than that. The spiritual food that we eat is digested by our spiritual digestive system. In fact, some of the organs making up our digestive system have spiritual meanings (See “Teeth”, see “Stomach”, see “Liver”, etc.). This process, called digestion, allows your body to get the nutrients and energy it needs from the food you eat. This fact is also true for our spiritual digestive system. The digestive system consists of that parts of the body that work together to turn food and liquids into the building blocks and fuel that the body needs. This is also true for our spiritual digestive system. 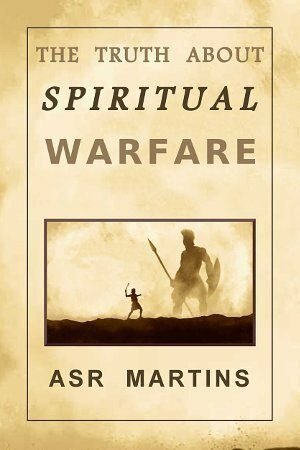 Our spiritual digestive system breaks down and absorbs (separates the word of God from false and bad words that we hear from other people and evil spirits). The main purpose of the spiritual digestive system is to absorb the true and wonderful word of God so that we can grow spiritually. 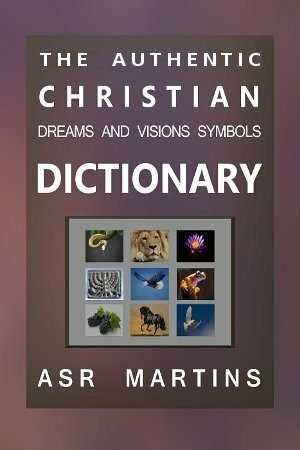 The different kind of food that God uses as symbols in dreams and visions range from milk, bread, vegetables, fruit, cake, meat pies, hamburgers, take away food, finger food, restaurant food to fresh meat in a butchery. There is actually no limit to the different kinds of foods in dreams. See “Breast”. Everything we eat that is from God (word of God) no matter how we obtain it (Bible study, listening to preaching, reading, dreams and visions, prophetic words, etc.) goes to our stomachs (our spirit – see meaning of “Stomach”) where it is digested. Unfortunately, we also eat rubbish (lies, wrong beliefs, words of hatred, people treating us badly with negative words and slander, hate, contempt, etc.). Just as the natural processes of our digestive system breaks up the food and just as the nutrients are taken up in our bloodstream and transferred to all the cells in our bodies, so our spirits also absorb the “nutritious” word of God. Our livers remove all kinds of impurities from our blood. This is also true for our spiritual livers. See the meaning of “Liver”. The bad food is removed and separated from the good food. Just as with our natural bodies, after most of the nutrients are removed from the food mixture (word of God and lies of the enemy and other people, especially those words that cause emotional “garbage”) there is waste left over. This is stuff our spiritual bodies, as our natural bodies, cannot use. This stuff is bad for us and needs to be passed out of our bodies. As I said, in our spiritual “bodies” this stuff are the lies, the slander, the insults, the emotional abuse, etc. For this reason, when we dream we go to the toilet (I am not using the word “bathroom” for a reason) to get rid of the solid waste, it symbolizes that we are being delivered from the sin, the lies and the emotionally abusive words (which cause bitterness, hate and contempt, etc.) that we allowed in our bodies. Remember, we transgressed by “eating” this bad stuff. We allowed it into our bodies. Obviously these actions have consequences. We need to repent and to get rid of those things (bitterness, hate and contempt, etc.) and it’s consequences. Especially those things that cause bitterness, unforgiveness and other bad emotional issues that stand between us and a pure, balanced relationship with God and other people. A toilet symbolizes the repentance and confession of a Christian in order to deal with inner emotional issues and sin in their lives (bitterness, hate and contempt, etc.). Such a person is cleaning himself (his inner being) of bitterness and unforgiveness and other emotional issues through confession and repentance. This also speaks of the removal of spiritual blocks and garbage through repentance and confession. It is not the same as “bathing” which is actually the conversion of a non-believer. See “Bathing” and “Bathroom”. Think of Stephen in the New Testament. He was mocked and cursed and stoned to death by people who hated him very much because of his Christian faith. Yet, in that moment, his words were, “Father forgive them for they know not what they do”. Stephen did not allow those words of hatred and those totally unfair actions to enter his spiritual body. He did not “eat” those words. Food also symbolizes the spiritual teaching of the word of God. A teacher (five-fold ministry) often dreams about food and preparing food for people. They often dream that they are busy in a kitchen or a restaurant or a food-truck (itinerant ministry) preparing food. A foot in dreams and visions symbolizes a person or a congregation’s activities. It speaks of spiritual or evangelical outreaches and other activities of the church. Moving in certain directions plays a part. It can also speak of other (non-spiritual) activities in a person’s life or a group of people’s lives. There is a difference between the symbolic meanings of a hand and a foot in dreams and visions although it appears to be very similar. With “hand” the emphasis is on organizing and guiding whilst with “foot” the emphasis is on the stepping out and performing what was decided upon. See “Hand”. Toes are all about a person or people stepping out and doing things for the Lord. See “Toe”. A forehead in dreams and visions speaks of the ability of a person to take a firm stand against rebellious and manipulative people. A hard forehead speaks of a person who can take a stand for God or for what is right. A person with a soft forehead in dreams speaks of a person who is easily discouraged or double minded. It speaks of a person who cannot take a stand and cannot take decisions. It also speaks of a person who cannot stand against people even when he knows that it is wrong not to take a firm stand against such people. A fountain speaks of spiritual blessings and/or financial provision from God. These blessings and provisions are received without any effort and are therefore free. Just as a fountain breaks out from the ground providing water without any effort from people, so are spiritual and financial blessings and provision from God when it is symbolized in a dream or a vision by a fountain. A dried up fountain speaks of a financial or spiritual source that has dried up. No more income is to be received from such a source. A fox symbolizes a person with a cunning or deceiving or a sly attitude or spirit. Dreaming of a friend dying it speaks of the end of the relationship between the relevant people. It speaks of an expired friendship. 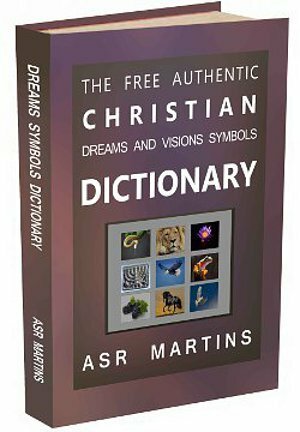 Other symbols in the dream will reveal more information regarding the reason or the circumstances causing the end of the friendship. For instance, the friend dying because of a vehicle accident symbolizes the end of the friendship because of sudden disunity. You killing your friend by shooting him with a rifle or pistol speaks of the friendship coming to an end because of bitter words of criticism, etc. See “Vehicle (Accident)” and “Revolver”. Like a snake, frogs are also about deception. With snakes it is all about lies and temptation. With frogs it is all about false prophecies. The Holy Spirit warns us against people with unclean spirits or false prophetical spirits by means of the symbol of frogs in dreams and visions. Evil spirits and evil people who attempts to deceive other people by means of false prophecies are symbolized in dreams and visions by frogs. False prophecies speaks of people pretending that the words they speak come from God. They pretend that what they say or write are Biblical and true and from God. 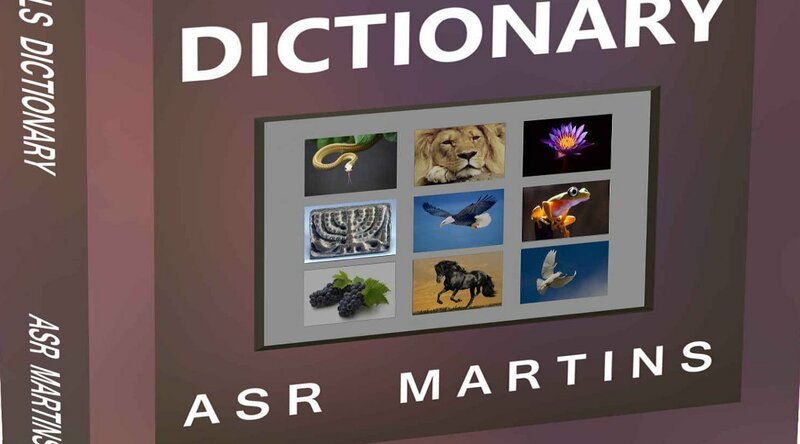 False dreams and visions dictionaries also fall under this category. 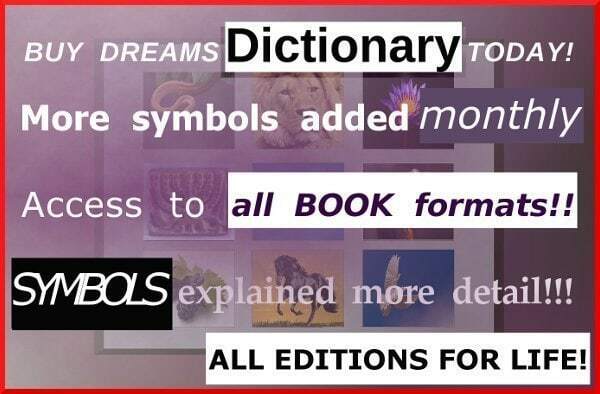 The writers or creators of these dictionaries pretend that the meanings ascribed to the symbols in their dictionaries are true and legitimate. Remember, dreams and visions are from God. The symbols are from God and the meanings are from God. A black frog symbolizes a false prophecy which originated from a person with a negative spirit. These type of people are prophets of doom. Their prophecies are the intellectual results from their negative mindsets. A brown frog symbolizes a false prophecy based on the fleshly desires and thoughts of a person’s own mind. It originated in the mind of a person, because of fleshly desires, who believes it came from God. People who are deceived this way will say and do things, as a result of such a false prophecy, which is often contrary to the will of God and contrary to Scripture. Many people divorced there spouse after such a deception. A green frog symbolizes intellectual deceit. It is a false prophecy which originated in the mind of a particular person. It is therefore a prophecy which is the result of intellectual thinking and not from God. It is a person’s own imaginations and intellectual reasoning at work. With the other examples above (Brown frog and black frog) the fleshly desire or the negative spirit of the particular person is the factor causing the false prophecy or the intellectual thoughts, with a green frog the intellectual thoughts itself (reasoning) cause the false prophecies. Fruit symbolizes the spiritual fruit of the Spirit of God. In dreams a person’s attitude and personality are symbolized by fruit. The funeral of a person symbolizes the settlement of a debt or obligation. The debt can be financial, spiritual or natural matters or promises that have been resolved as symbolized by the funeral. Just like Jesus Christ, with his funeral, paid for us with his blood, so we need to pay our debts. Very important in this matter is that with this symbol the word “dept” is a keyword. We owe it to God, to other people and to financial institutions to pay our debts, whether it is a financial dept or a spiritual dept, or a promise. It does not matter what the debt is, we always have to pay all our debts. A funeral can also symbolize the water baptism of a person. See “Coffin” and “Cemetery” and “Postmortem”. Fuel for a vehicle symbolizes the inspiration of the Holy Spirit in ministry. It symbolizes that a person has the anointing of the Holy Spirit in his ministry. In another sense it symbolizes the funds to financially support a ministry.